For any rider, getting the best longboard possible is high on their priorities. There are many factors to consider including preferred riding style, size and weight of the board, its price, look and design and quality to name but a few. There are many advantages that drive riders to spend many hours online researching on the best longboard that they can purchase. 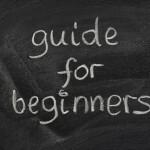 For beginners, it is important to select a board that is durable, easy to learn and well-suited to cruising. It is also important that the board is affordable. This is due to the fact that sooner or later, they are most likely to upgrade to a board that is more suited to more advanced styles of riding. More experienced riders seek boards that enable them to do more with their board. There are few boards in the market that are good all-round boards and they are usually expensive. Even the good all-around boards are most great for one or two given styles of riding and simply satisfactory for the rest. The best boards for a given riding style and terrain are mostly specialist longboards, designed with a certain style in mind. This results in some experienced riders having two or more boards. It is hard to not hear Krown longboards mentioned whenever the topic of the best longboards in the market comes up. The various designs, colors and variety of Krown longboards ensures that there is a Krown longboard out there that meets the needs of a rider. Some of the characteristics riders love about Krown boards is their performance, safety, durability and affordability to name but some. The boards are gaining more renown by the day and have been rated favorably on sites like Amazon.com. 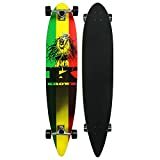 Listed below are the top 5 best krown longboards in the market for riders looking for good quality and affordable longboards. 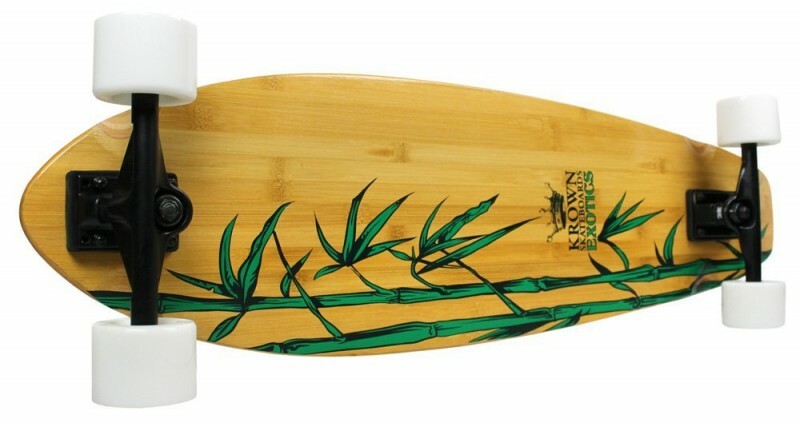 The Krown Rasta Surf Longboard is one of the most popular Krown longboard in the market. The board measures 46 inches by 9 inches and has a wheelbase of 27 inches. 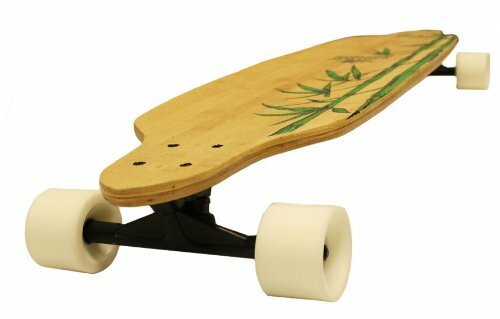 The board is pintail shaped and made of Canadian maple layered with Bamboo. The drop-through mounted deck rests on high aluminum trucks. The trucks are normally connected to 71mm wheels with a durometer 0f 78A through ABEC7 bearings. The boards come with black grip tape and really amazing graphics. All this features and characteristics make the board truly fun and well-suited to carving and cruising. 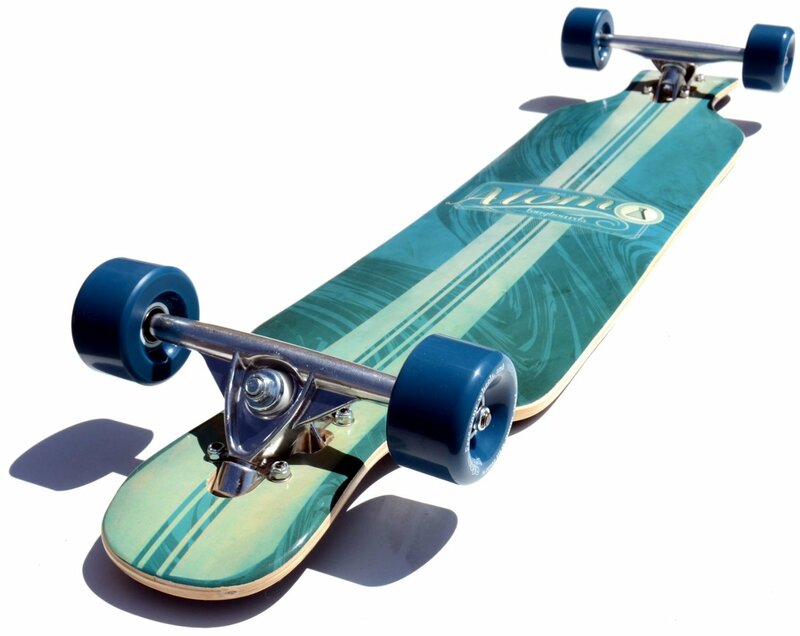 The length of the board, the drop-through deck mounting, its pintail shape and a wide wheelbase makes the board extremely stable. This stability ensures a smooth riding experience and safety of the rider. The composition of Canadian maple and bamboo makes it light, strong and durable and gives it some flex. In addition to the drop-through deck mounting, the lightness of the board makes it easy to use the board for cruising and commuting. This is because the closeness of the board to the ground enables a rider to push and brake without straining too much. The pintail shape makes it easy to carve using the board. It also increases stability and provides for a more surf-like riding experience. 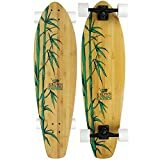 Due to it being a common and simple shape, pintail boards are really affordable and the Krown Rasta City Surf Longboard is no exception. The great graphics on the board combined with a classic pintail shape makes the board really beautiful and aesthetically pleasing. This is a great board for beginners as well as those interested in cruising and carving. More advanced riders find the board extremely fun for carving down slopes and hills. The stability of the board is amazing and so is the surf-like riding experience. 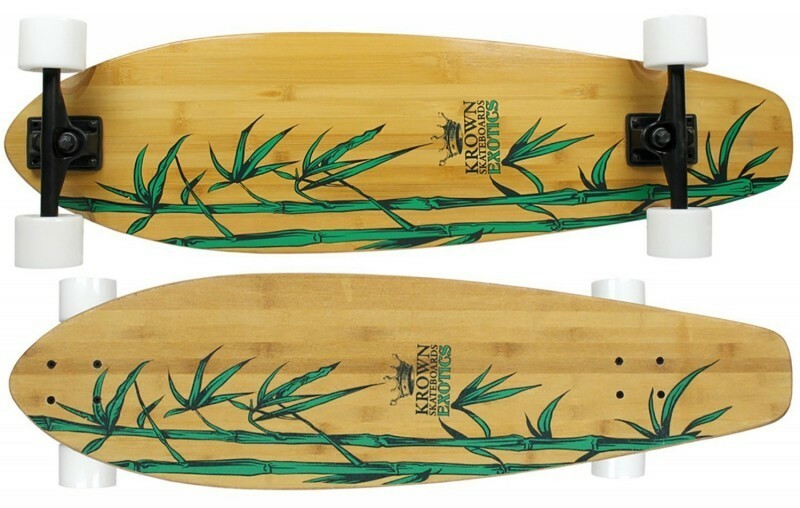 The Krown Krex 2 Bamboo Freestyle Longboard, as the name suggests, is a great longboard for freestyle riding and cruising. The board measures 41 inches by 9.25 inches. It is made of Canadian maple wood layered with bamboo for strength, durability and some flex. The deck has a freestyle shape and design as well as over top Clear Grit graphics. It rests on 7 inch trucks that are connected to 71mm wheels with a durometer of 78A. The board materials make it fast, light and durable. The freestyle shape makes it an ideal board for those interested in learning various tricks and freestyle riding. Having a freestyle shape ensures that a rider is not stuck with one style of riding but can vary it as they wish. The board trucks and wheels ensure a smooth rider and high maneuverability of the board. The shape and graphics makes the board aesthetically pleasing. It is a great board for freestyle riders whether beginners or more experienced. It is a great Krown longboard of high quality board that is really affordable and performs amazingly well. The Krown Exotic Kicktail Longboard is well-suited to cruising, carving, commuting and performing some tricks. The deck measures 36 inches by 9.75 inches. The deck is made of Canadian maple layered in bamboo for the perfect balance of flex and strength and features a kicktail. It rests in 7 inches trucks connected to 70mm wheels with a durometer of 85A. The board comes with Clear Grit grip tape and great graphics. The board rides well and is really maneuverable while being stable and safe at all times. 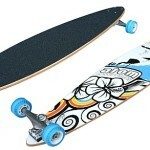 It features a kicktail, making the Krown Exotic Kingtail Longboard well-suited to doing tricks and for commuting. The board’s amazing graphics ensure that a rider uses this board with style both in riding style and aesthetic appeal, any way you look at it. This board is part of Krown’s wildly popular Krown Elite Series, attributable to Krown’s approach when it comes to designing the Elite Series. The series is best known for adopting the latest tech in the longboarding industry and using 8-ply maple decks for the boards. 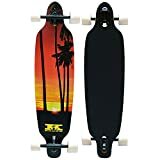 The Krown Palm Sunset Drop Through Complete Longboard is definitely one of the best Krown boards and among the affordable longboards in the market. The board measures 36 inches by 9 inches and has a wheelbase of 25.5 inches. The deck features black grip tape and is made of 8-ply maple mounted on 7 inch reverse style kingpin trucks. These are connected to 70mm wheels with a durometer rating of 50A. The board comes with great graphics you would expect from an Elite Series board and one of the best of Krown longboards. The reverse kingpin trucks of the board combined with a low center of gravity make this a great board for speed, cruising, carving and commuting. The reverse kingpin trucks make the board more maneuverable and increases the ease of turning, desirable for a great riding experience and cruising in busy places. The deck is extremely strong and durable which means this is a board that a rider will have for a long time. This board is seriously fun to ride and makes for a great riding experience. 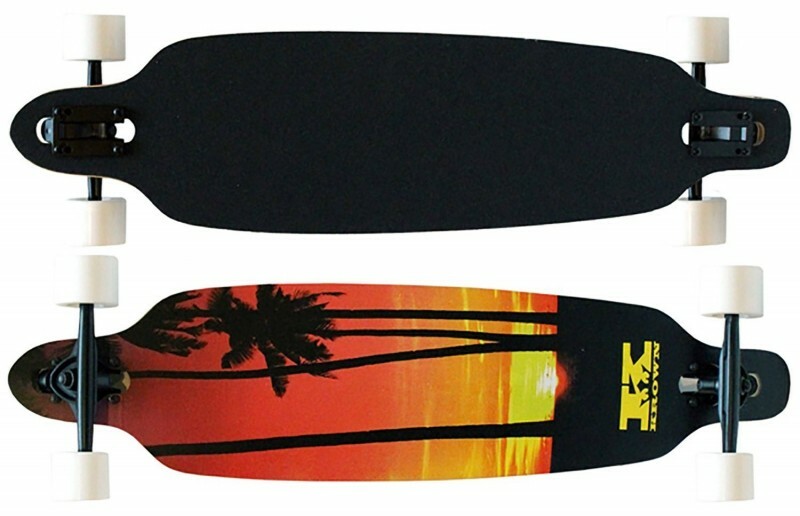 For the tech, aesthetic appeal, performance and durability one gets from the Krown Palm Sunset Drop Through Complete Longboard, it is a great investment. 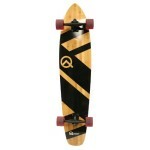 In fact, it is one of the best and most affordable longboards in the market and truly rides beautifully. It is also extremely well-suited to bombing hills and highly recommended for downhill riding beginners. 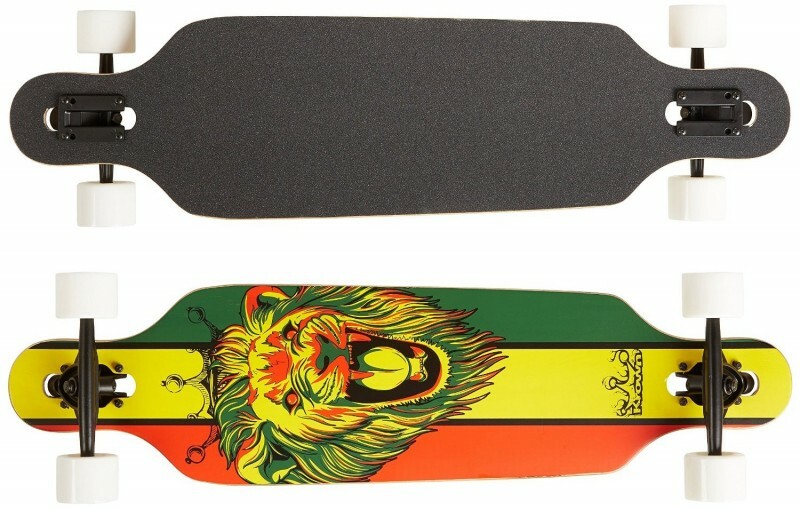 The Krown Rasta Lion Freestyle Drop Through Complete Longboard is another great longboard from Krown’s Elite Series. 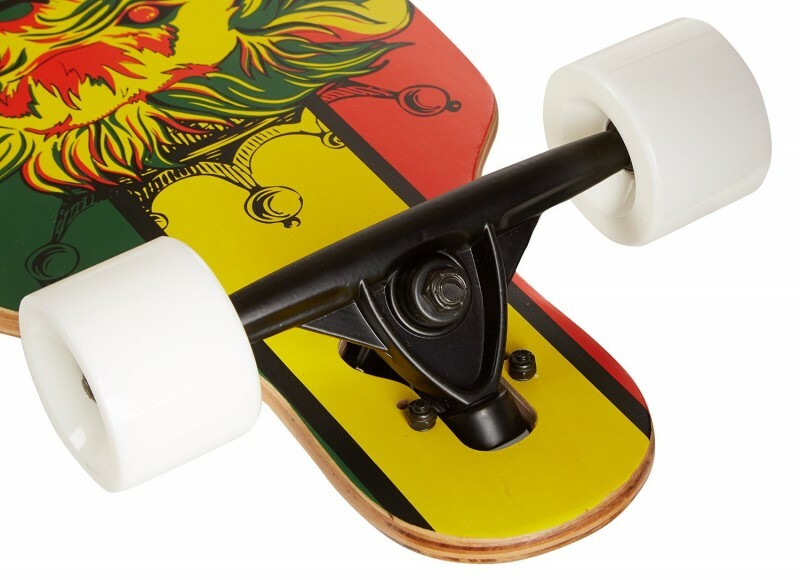 Also known as the Krown Rasta Freestyle Elite board, this board is great for almost any type of longboard riding. The 8-ply maple deck measures 36 inches by 9.25 inches. The drop-through mounted deck is freestyle shaped and rests on 7-inch reverse style kingpin trucks. These connect 70mm wheels with an 85A durometer via ABEC7 bearings. The deck features black grip tape and amazing graphics. Everything about this board is meant to make it an amazing longboard. 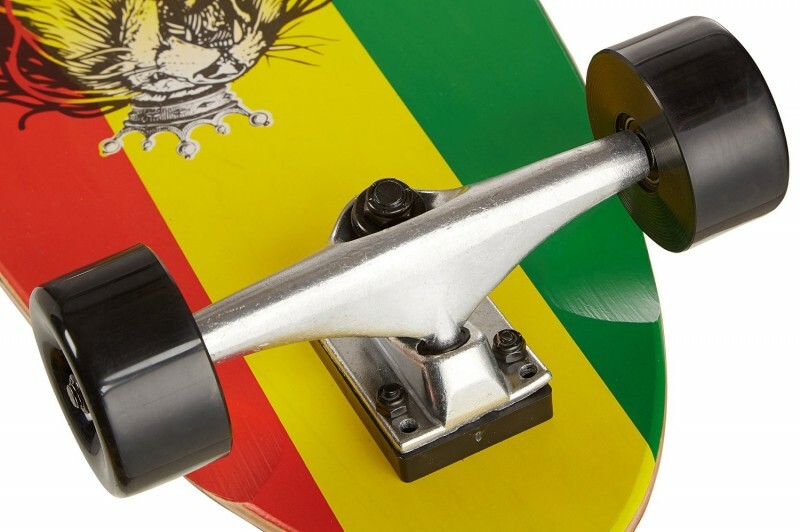 The low center of gravity and the drop-through mounting of the deck makes the board stable at very high speeds. The reverse style kingpin trucks and its length result in the board being highly maneuverable and nimble. The board is therefore great for almost all styles of riding ranging from cruising to bombing hills and everything in between. It is also a highly durable that performs really well and looks great, all at an affordable price. No wonder it makes to the list of top 5 best Krown longboards in terms of quality and affordability. These are some of the Krown longboards out in the market. The boards are affordable, perform amazingly well and harness the various technological advances in the industry. Krown longboards are also renowned for their great design and aesthetic appeal. Whatever type of longboard a rider is searching for, there is most likely a great Krown longboard that meets their requirements. 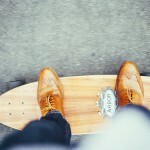 All they need to do is to review the various Krown longboards available on the market.